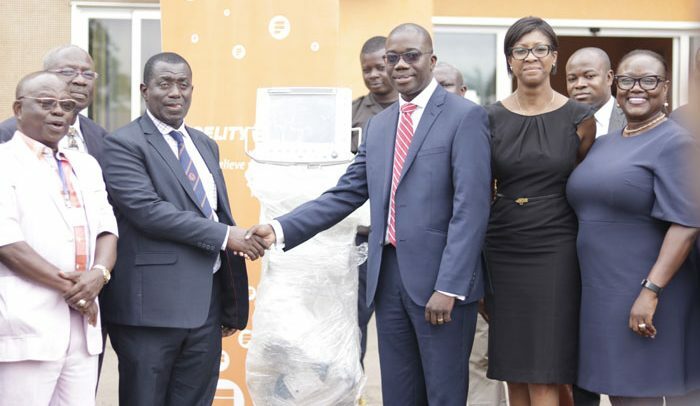 Deputy Managing Director of Fidelity Bank Ghana, Julian Kingsley Opuni, has reiterated the commitment of the bank to supporting healthcare delivery in the country. “The health sector is very important to Fidelity Bank, as we have been engaged in various healthcare related partnerships through USAID; funding of the Medical Credit Fund, various hospitals and the pharmaceutical industry,” he stated. Speaking at a ceremony to present ventilators to the Komfo Anokye Teaching Hospital by Fidelity Bank, Mr Opuni said it’s impossible to make inroads in the health sector without partnering an institution like KATH. He disclosed that a few years ago, the bank partnered KATH to create uniformity and structure in the collection of monies and also make it easier to monitor funds. In addition, he said that the bank also organized customer service training for the hospital to help in the delivery of services to patients. Aside the health sector, Fidelity Bank has over the years initiated projects to support other key areas of the economy like education and agriculture.